B-I-N-G-O! Bring your friends and try your luck at winning authentic COACH, DOONEY & BOURKE, MICHAEL KORS & KATE SPADE handbags. 50/50 raffle tickets and pull tabs are available at additional cost. 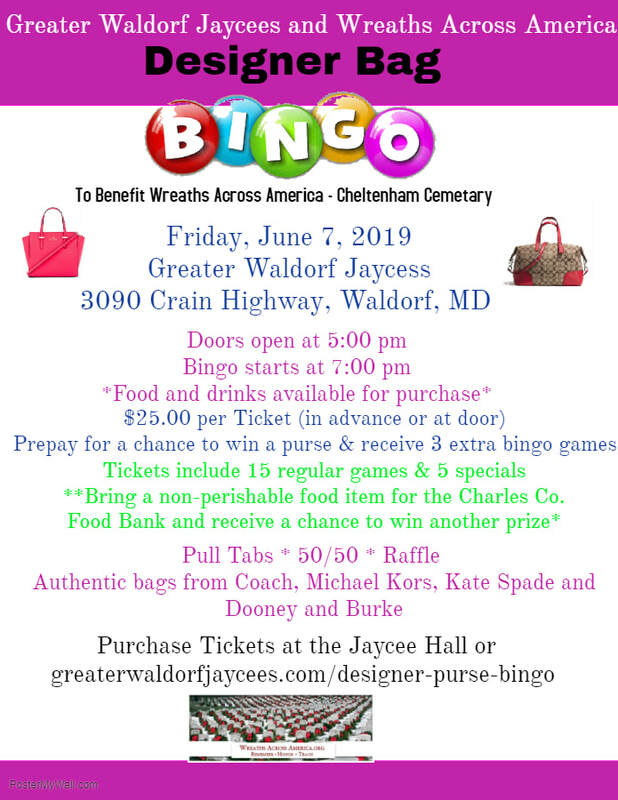 All pre-purchased tickets will receive 3 extra bingo games and will be entered in a drawing for another designer bag.